Good morning! I hope you are all having a fabulous weekend! 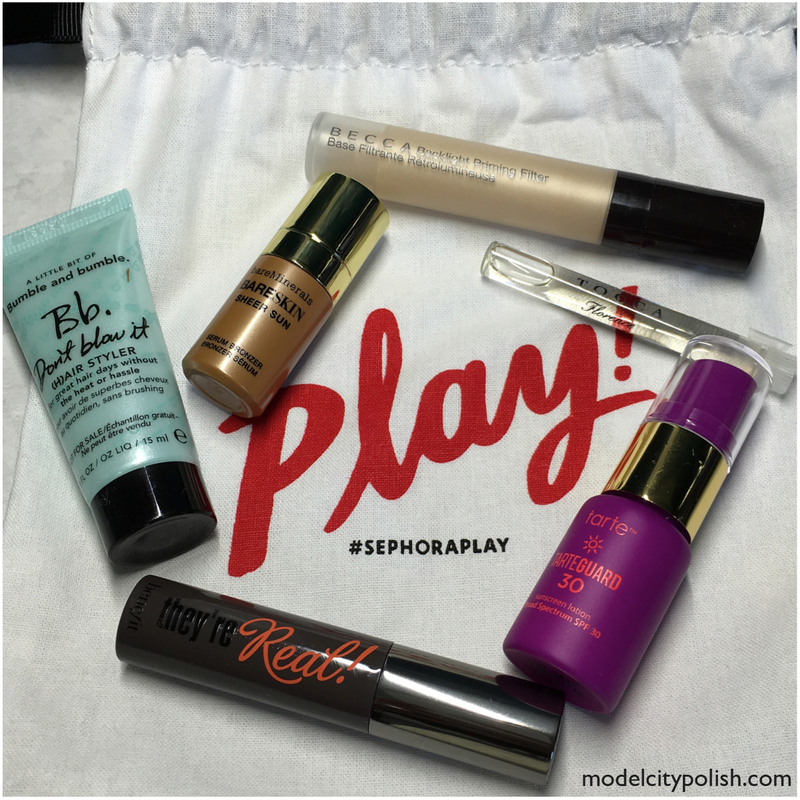 Today I am dropping in to share my latest Play by Sephora Box. For the month of June Sephora’s theme was minimalists which is just perfect for me! All of the products in this month’s box is perfect for those always in a hurry but need that little extra something. Let’s take a look at what was in the June Box. Bumble and Bumble Don’t Blow It – Innovative creme adds body and enhances fine to medium hair textures for a laid-back, air-dried style. Benefit Cosmetics They’re Real! Mascara – Bestselling mascara lengthens, volumes, coats even the smallest lashes, and features a specially designed brush. Tarte Tarteguard 30 Sunscreen Lotion Broad Spectrum SPF 30 – Antioxidant-infused, non-chemical SPF 30 sunscreen moisturizes and protects without leaving a sticky feel. 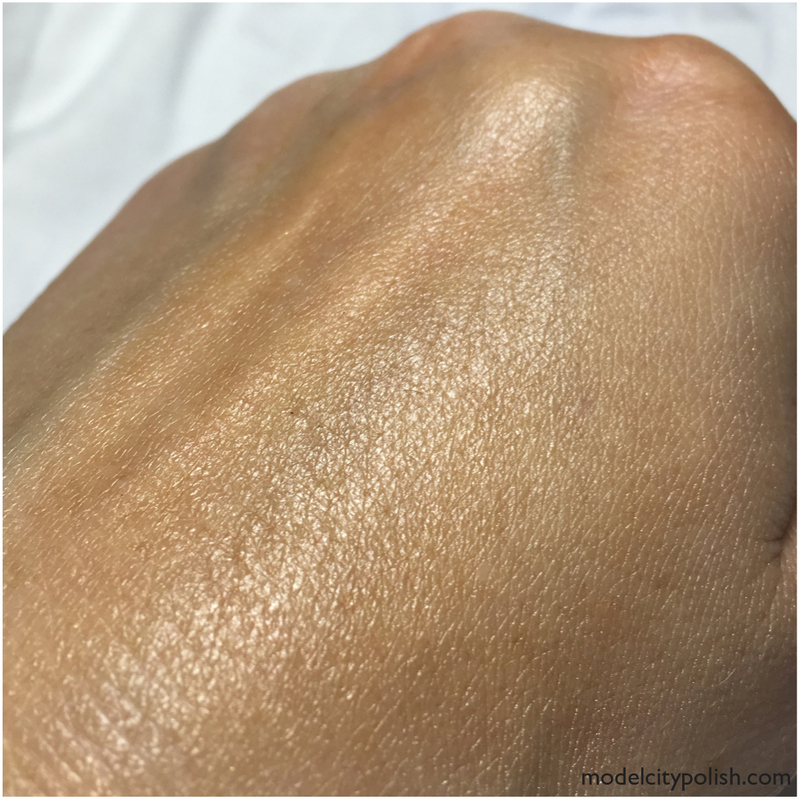 bareMinerals bareSkin Sheer Sun Bronzer – Blendalbe, lightweight liquid bronzer may be worn alone or over foundation to give the skin a shoe, natural-looking tough of the sun. Becca Backlight Priming Filter – Shimmering makeup primer acta as a soft-focus filter to blur imperfections and give skin an effortless, luminous look. Rocca Beauty Florence – Timeless and romantic, this fragrance conjures long-ago Paris with sophisticated blend of bergamot, violet petals, and blonde wood. So what do you guys think of this month’s Play by Sephora Box? Overall I am in love! I love quick fix products and this box was full of them. 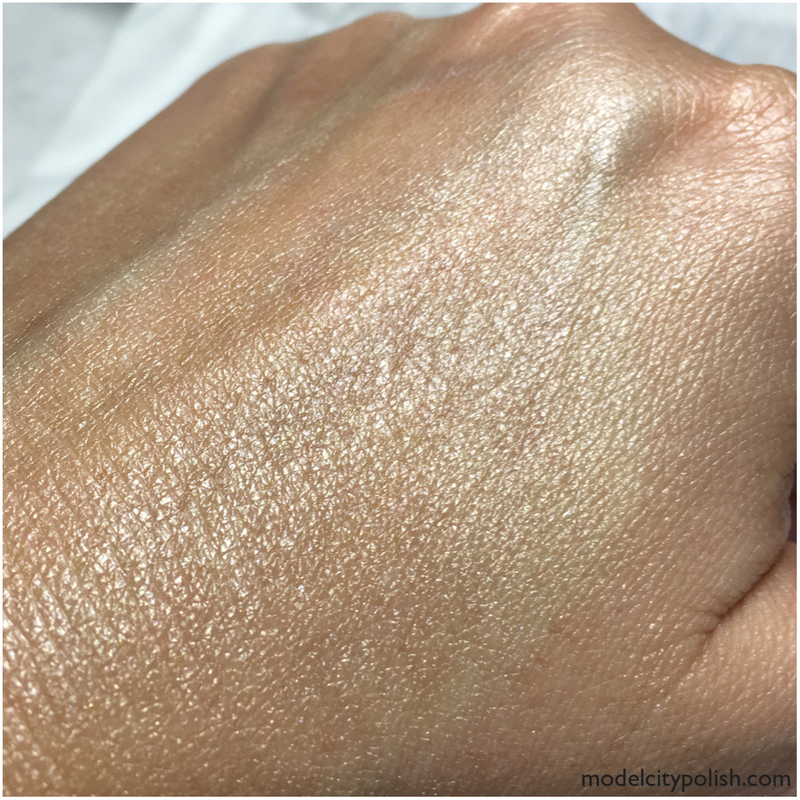 The bareMinerals bronzer was lovely and a little goes a very long way. I am already a huge fan of Benefit’s They’re Real! mascara so it is nice to have a small size bottle for throwing in my travel bag. Sunscreen you can never go wrong with and I will certainly be carrying the Tarte SPF 30 to upcoming festivals this summer. Thank you so much for stopping by today and I will see you all again tomorrow. Oh! This looks amazing. I’m going to check out the Bumble hair stuff. I use spray but find it leaves my hair crunchy. This box looks like a total winner! Great samples. It really was! If Sephora keeps this up I will be hooked for a very long time! Very fun! I think I’d love that Tarte sunscreen! Such a great box! I can’t wait for my first one to come! How nice of them to give you a highlighter and a bronzer! You can’t have one without the other. This is a great assortment for summer! Fingers crossed for you that that happens very soon!!! !